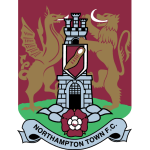 Northampton Town vs Carlisle United predictions for Saturday’s League Two face off at Sixfields Stadium. Northampton are without a win in half a dozen games as they prepare to face a Carlisle side that has won six on the spin. Read on for all our free predictions and betting tips. Northampton Town take on Carlisle United in League Two on Saturday afternoon at the Sixfields Stadium, in a clash that sees Cobblers’ boss Keith Curle come up against his old club. Curle opted to jump ship at Carlisle at the end of last season in an attempt to further his career elsewhere, though things haven’t quite gone to plan for the former Manchester City club captain. Having won only 6 of their 26 League Two matches this season, 17th placed Northampton are hovering dangerous close to the drop zone. The struggling Cobblers are currently in the midst of a 6-game run without a victory. In fact, their last triumph of any description came in a 1-0 win against Crawley on December 8th. Town have scored only 10 times in their last 9 fixtures, and while that would suggest that scoring goals has been a problem for Keith Curle’s side, the Cobblers will be buoyed a little by the fact that they managed to score in each of those fixtures. Northampton have kept only 1 clean sheet in 12 at the other end however, and their defensive problems are certainly overshadowing developments further up the pitch. Remarkably, both teams scored in 11 of those same 12 Town fixtures – a pattern we expect to continue this weekend. The Cobblers opponents on Saturday, Carlisle United, are absolutely flying at the moment under caretaker manager Tommy Wright. With 6 wins from 6, the Cumbrians have fired themselves up to 5th in the table, and another victory could launch them into 2nd spot depending on results elsewhere. United plundered 20 goals across their successful sextet of fixtures during the string of performances with wins that nobody really saw coming. 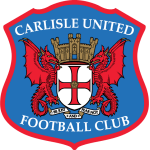 Carlisle travel to the Sixfields Stadium with tonnes of momentum behind them this weekend, and we expect their new-found thrust to propel them to victory again. As we detailed earlier, Northampton have developed a canny knack of getting their name on the score-sheet, regardless of the final results in their fixtures. Both teams scored in 11 of their last 12, so we recommend combined the away win outright selection with BTTS for Saturday’s game. In our correct score forecast, we’re going for a 2-1 Carlisle United win, and a 7th straight victory for the Cumbrians. Both teams scored in 11 of Northampton’s last 12 fixtures. Carlisle United have kept just 3 clean sheets in 11 away matches.